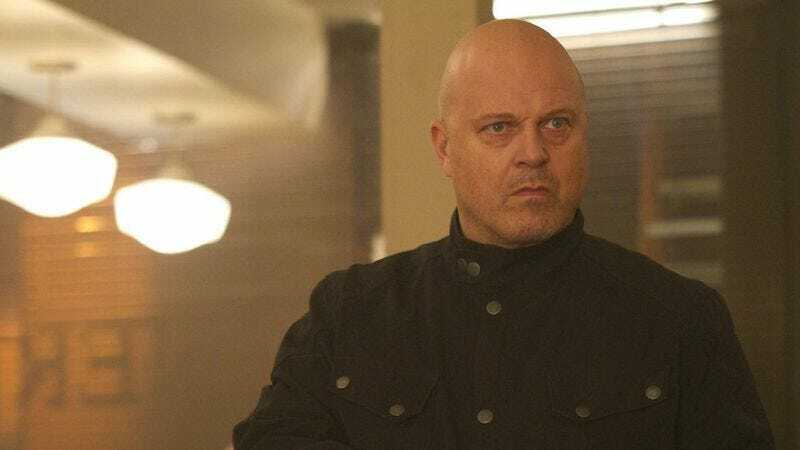 Michael Chiklis will join the cast of American Horror Story’s fourth season. Creator Ryan Murphy announced that Chiklis will play Evan Peters’ father at PaleyFest on Friday night. No word yet on whether or not he will be playing a “freak” in the show’s “freak show” setting, but here’s hoping. Chiklis made his name on The Commish and The Shield and later starred in the Fantastic Four films, but since then hasn’t found a solid home. He starred in CBS’ Vegas with Dennis Quaid, but that show was cancelled after one season. Cast members Jessica Lange, Kathy Bates, Sarah Paulson, Angela Bassett, Jamie Brewer, Denis O’Hare, and Frances Conroy are all returning to Freak Show as well.